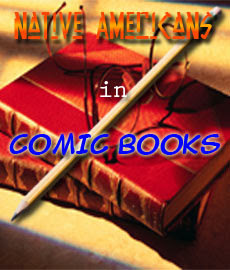 Comic Book Resources has an interesting article on the depiction of Native Americans in comic books. Minorities in American comics is a sorely neglected subject on the whole, and I'm thrilled that more attention is being given to the subject. Michael Sheyahshe's book has not been published yet, but I, for one, am looking forward to seeing it. I encourage you to write to either Sheyahshe himself or the publisher about your interest in it.